Travelling to Morocco in the 1930s would have been pioneering. The French spent the 1920s developing tourism infrastructure and promoting tourism to its colonies (more on ’empire tourism’ in a future blog). Travel to French Morocco by Europeans was for the privileged few, not the masses. It seems fitting then that Winston Churchill first visited Marrakech in 1935, to winter in a different climate than the UK’s. In context, in the late 1920’s approx. 4000 visitors per annum arrived to Casablanca. However, in 1933, 36,600 tourists disembarked in Casablanca; 95% of these arrived on cruise ships (De Mazières 1934) and most would have stayed at the coast. Sailing from the French port of Marseille to Casablanca by steamship took 40 hours. It was then a further 3.5 hours by car to Marrakech (which is what Churchill did). If you are interested in viewing life in Morocco at the turn of the century, as photographed by the first European visitors to Morocco, we recommend you visit the Maison de la Photographie in Marrakech. Churchill was struck both by the modernisation, or ‘civilisation’, of Morocco by the French colonisers (i.e. “we get excellent French newspapers”) and the ‘native’ Morocco. He noted that “the whole country is full of interest”. He likened Marrakech to the “Paris of the Sahara” and was drawn to the light, colours and agreeable climate which he mostly enjoyed from the hotel La Mamounia. We have the impression that Churchill kept a comfortable distance from the ‘native’, ensconced at La Mamounia. 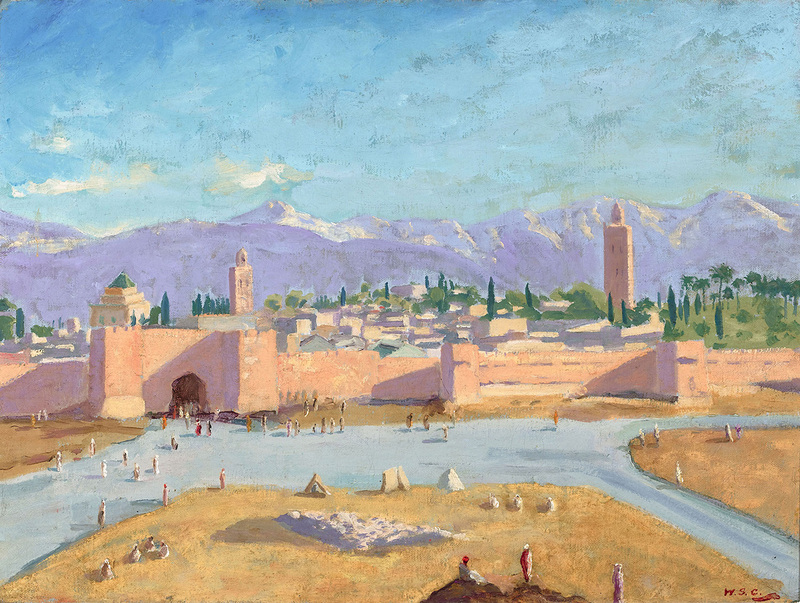 That said, the natural beauty of Morocco attracted Churchill and inspired his painting (per the featured image above – this painting of the Koutoubia Mosque and Marrakech ramparts was given to FD Roosevelt). “It is five hours to the ridge of the Atlas and they say you then look down over an immense area, first a great tropical valley, then another range of mountains, and beyond all the Sahara desert”. (Finest Hour 108 page 20). Churchill visited Marrakech again during the course of the following decade and continued to paint there. Certainly, a pioneer of tourism to Morocco. 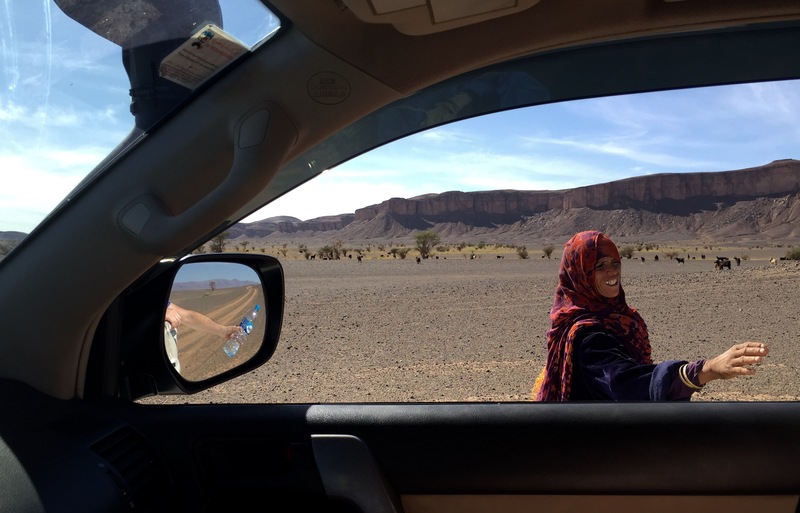 Please contact us for further information on how to spend time in Morocco’s “ancient deserts”.